A Scrum project often goes through a number of phases. 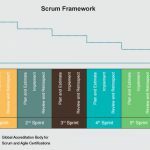 Five phases, composed of nineteen processes, are suggested in A Guide to the Scrum Body of Knowledge (SBOK™). Regardless of the Scrum project, it needs to start somewhere—this is known as the Initiate phase. The Initiate phase includes six processes that address the specific activities and flow of a Scrum project. It is important to note that the processes are not necessarily performed sequentially or separately. At times, it may be more appropriate to combine some processes, depending on the specific requirements of each project. The Project Business Case is reviewed to create a Project Vision Statement that will serve as the inspiration and provide focus for the entire project. A good project vision should focus on the problem rather than the solution. The Project Vision Statement should not be too specific and should leave room for flexibility. The Product Owner is the person responsible for achieving maximum business value for the project and represents the Voice of the Customer in the Create Project Vision process. 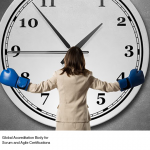 The Scrum Master and Stakeholders are identified using specific Selection Criteria. 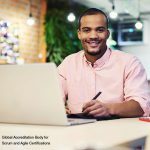 A Scrum Master is a facilitator and “servant leader” who ensures that the Scrum Team works in an environment conducive to completing the project successfully. Stakeholders—customers, users, sponsors—frequently interface with the Scrum Core Team and influence the project throughout the product development process. Scrum Team members are identified. 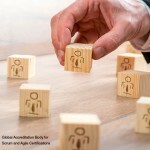 Normally, the Product Owner has the primary responsibility of selecting team members but often does so in collaboration with the Scrum Master. The Scrum Team is a group of people who are responsible for understanding the business requirements specified by the Product Owner, estimating User Stories and creating the project deliverables. The team decides on the amount of work to commit to in a Sprint and determines the best way to perform the work. The Project Vision Statement serves as the basis for developing Epics—large, unrefined User Stories in the Prioritized Product Backlog. User Group Meetings may be held to discuss appropriate Epics. Epics are written in the initial stages of the project when most User Stories are high-level functionalities and product descriptions and requirements are broadly defined. Once these Epics come up in the Prioritized Product Backlog for completion in an upcoming Sprint, they are broken down into smaller, more granular User Stories. These smaller User Stories are generally simple, short and easy to implement functionalities or blocks of tasks that can be completed in a Sprint. Epics are refined, elaborated and then prioritized to create a Prioritized Product Backlog for the project. The Product Owner develops a Prioritized Product Backlog, which contains a prioritized list of business and project requirements written in the form of Epics. The Prioritized Product Backlog is based on three primary factors: value, risk or uncertainty and dependencies. The Done Criteria—a set of rules that are applicable to all User Stories—is also established in this process. A clear definition of Done removes ambiguity from requirements and helps the team adhere to mandatory quality norms. A User Story is considered Done when it is approved by the Product Owner who judges it on the basis of the Done Criteria and individual User Story Acceptance Criteria. The Scrum Core Team reviews the User Stories in the Prioritized Product Backlog to develop a Release Planning Schedule, which is essentially a phased deployment schedule that can be shared with the project stakeholders. The Product Owner and the Scrum Team decide on the Length of Sprint for the project, which often remains the same throughout the project. 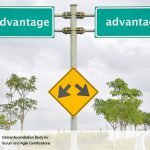 However, it may change if the Product Owner and Scrum Team decide that it is necessary or appropriate. 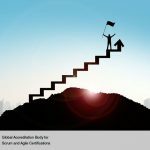 Following the six processes of the Initiate phase will lay a solid groundwork for any Scrum project. Remember that the processes do not need to be performed sequentially or separately. They can be adjusted to complement the specific requirements of each project. 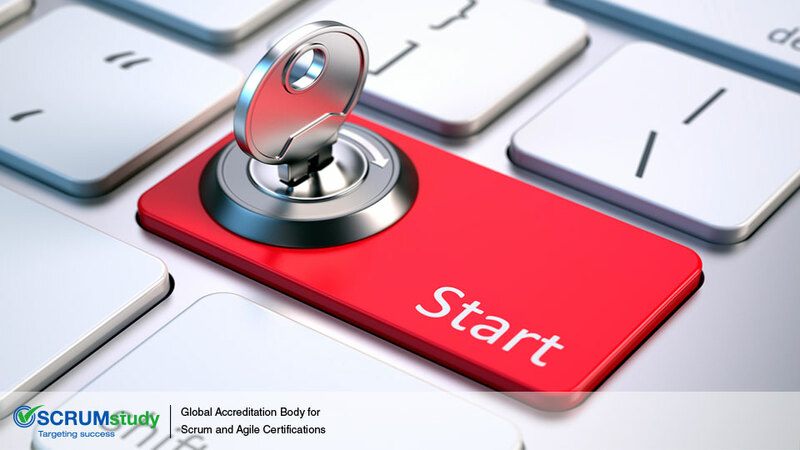 Before leaving the Initiative phase, however, it is imperative to create a good project vision and establish the various Scrum roles.